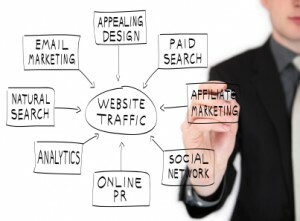 The objective of Online Marketing is to bring targeted visitors to your website. The website is no different from a brick and mortar store; if nobody visits it, you are unlikely to make any sales. In order to attract visitors you either have to do a lot of advertising, or you need to have a very good location (be on the first page of Google search results). Sometimes you need both, especially when you website is new and nobody knows about it yet, or your website does not have a very good position in Google search results. 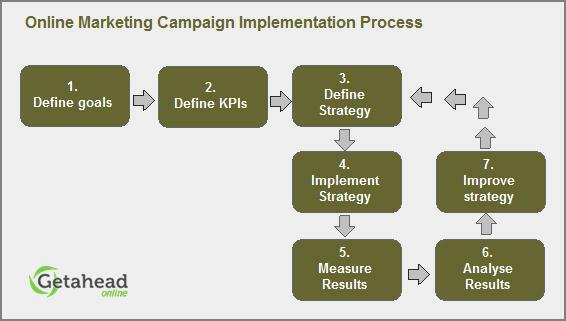 Many small (and not so small) companies waste their marketing budgets on hit or miss online marketing campaigns, that are not only badly planned, but also badly executed. With growing competition and Google constantly moving the goalposts, designing an effective online marketing plan, is not an easy task. As many of the online marketing strategies work together, you need to understand the intricacies of how they interact in order to create desired results. Getahead Online can help you optimise your online and offline marketing efforts to achieve not only your desired objectives, but also to get the best return on your online marketing investment. For your Online Marketing Campaign to be successful, you need to test and measure just about everything – your headlines, your sales message, even the colours of your site influence how long the visitors stay on your site and whether they buy or not. There is a saying that in marketing, half of the efforts are usually wasted. The key to success is in knowing which half. To get this kind of feedback, you need a powerful Web Analytics tool. We recommend installing Google Analytics on your website, but there are several other options. If you need help with selecting or installing Web Analytics, please contact us.